PJ Hogan To Direct The BONE Movie! | Birth.Movies.Death. PJ Hogan To Direct The BONE Movie! The director of PETER PAN to oversee the animated version of Jeff Smith's classic comic. PJ Hogan's Peter Pan is one of my favorite versions of the story; the live action film captures not just the magic and sweetness of JM Barrie's book, but it also goes after the sexual subtexts inherent in any tale about a boy who doesn't want to grow up. 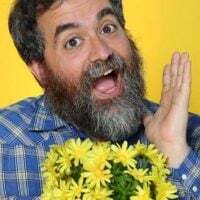 That mixture of the whimsy of fantasy and the reality of adulthood will serve Hogan well in his next project: an animated adaptation of Jeff Smith's classic Bone. 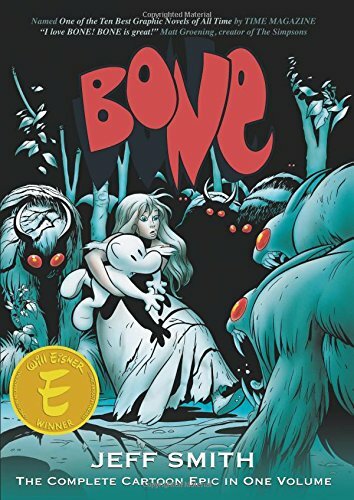 Bone began as a Walt Kelly-style funny comic, but over the years evolved into a sweeping fantasy epic. Three Bones from Boneville are kicked out of their hometown and come across a mysterious valley. There they meet Rose, a beautiful young woman, encounter nasty nasty Rat Creatures and the Lord of Locusts, an evil entity intent on destroying all that's good in the world. What follows is an incredible, funny, emotional and thrilling adventure that reads like if Uncle Scrooge had starred in Lord of the Rings. Animal Logic, the animation company behind the Happy Feet films, will be doing the animation on Bone. Sean Patrick Smith, who created the ABC Family show Greek, is writing the script. I'm psyched. I love Bone so much, and I'm happy that the adaptation is moving forward. The story is so huge, though, that I wonder if the plan is to make a Bone series of films or to try and cram everything into one movie.